The Vatican City-State, surrounded by Rome in central Italy, is one of the most unique sovereign entities in the world. The headquarters of the Holy See, it is where the Pope, as plenipotentiary representative of God in the world, serves not only as ecclesiastical head of the Roman Catholic Church but also as its political guide. The Pope is both a religious leader for Catholics and also a great spiritual force whose influence remains a potent source for many people in today’s society. 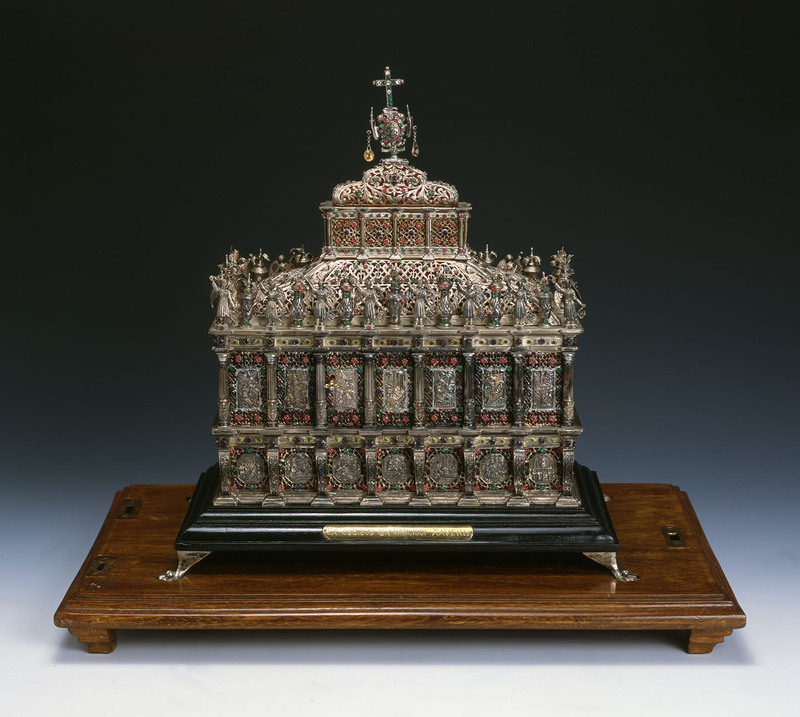 Materially speaking, the Holy See has also received and inherited more than two millennia of precious cultural artifacts related to the Catholic faith. Liturgy, or the form in which public worship is conducted, has always been an indispensable part of religion. The Catholic Church, with its long history and rich traditions, has developed its own set of refined and splendid worship services. Catholics continue to find reverence for God, spiritual consolation, and religious doctrine in these divine liturgical activities led by the Pope. The unique garments (vestments) and objects (hallows) used in these services are both works of art and imbued with deep and sacred meaning. Over the centuries, they have been stored in the Sacristy of the Office for the Liturgical Celebrations of the Supreme Pontiff at the Holy See. Except for the Pope wearing or using them for important services throughout history, they have rarely been placed on public display. The Republic of China has enjoyed longstanding relations with the Vatican. 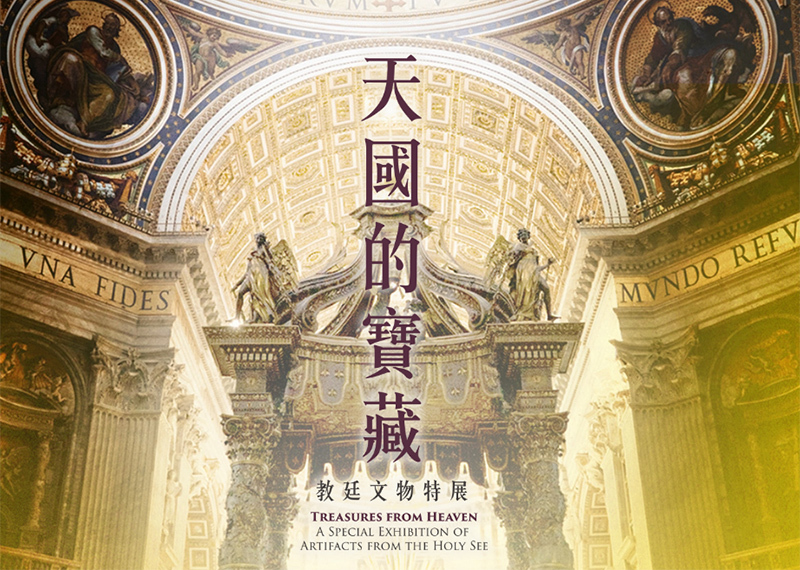 As evidence of such, the Nuntiatura Apostolica in Sinis as the Holy See’s representative and the National Palace Museum have actively cooperated to bring a precious set of sacred objects from the Vatican to Taiwan for the first time. 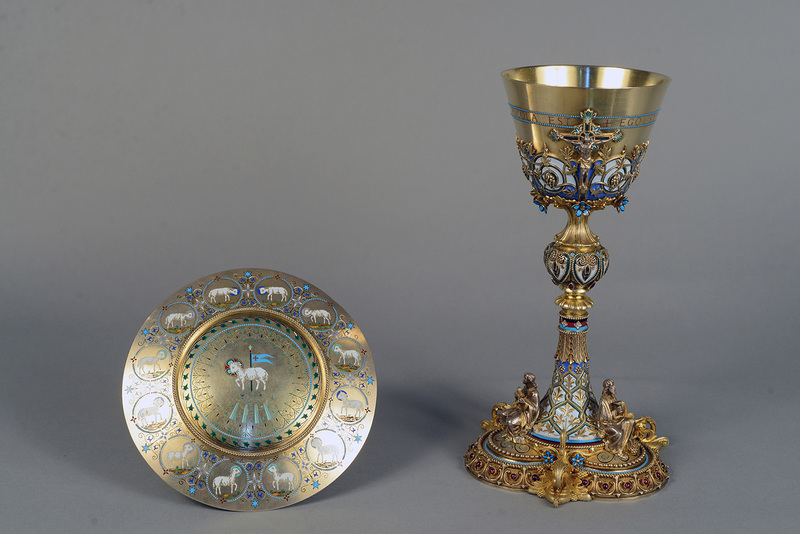 This special exhibition is also a world’s first for such a major display of objects related to the Pope to be presented outside the Vatican. The exhibit features a group of sixty loan objects not only refined in craftsmanship but also of beautiful splendor and sacred classicism, their rich contents and background making them come to life with even greater vividness. The display is divided into six sections for "The Holy See," "The Liturgical Year," "The Altar," "The Pope and History," "The Sacraments," and "Catholicism Spreads East." Together, they present the close relationship between the liturgy of the Roman Catholic Church and the Pope as well as the history and development of Catholicism. In "Catholicism Spreads East," the National Palace Museum is also specially placing on display books and documents related to Catholicism from its collection.